Our school welcomes enquiries from International Students. We can provide a high quality learning environment for both Primary (5 -10 years old) and Middle School (11-13 years old) students. A study period of 1 Term is the minimum we currently accept. We are a signatory to the Code of Practice for International Students. Balmoral Primary and Intermediate (Middle School) are innovative schools on the same campus offering an inspired curriculum in a friendly and caring environment. We are situated only 10 minutes by bus from the city but in the heart of the beautiful historic tree-lined suburb of Mt Eden. Close by are a wide variety of experiences for students and their families, such as, Auckland’s premier park, One Tree Hill, the very special mountain, Mt Eden, the bustling Dominion Road with its large number of international restaurants, movie theatre and children’s parks. The neighbourhood is well serviced by a number of community organisations such as public libraries, sports clubs and within a five minute walk is one of the largest shopping malls, St Lukes. There are a wide range of academic, sporting and cultural opportunities available to our students. 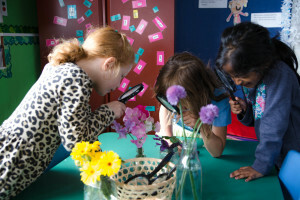 The school offers an innovative curriculum built around questions that engage our students. Reading, Writing and Mathematics form the core of our curriculum. Furthermore, deep thinking is promoted through the teaching of Philosophy. We have a specialist English language teacher who works four days a week to support students who are learning English. We have dedicated teachers in music, food and textile technology, hard materials, science and art specialisation and a school librarian. Students consistently achieve highly at high schools they attend, both in academic and leadership areas. 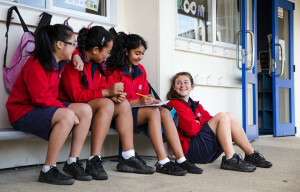 Many of our students also participate in activities that involve them exploring the New Zealand countryside by attending camps and tramps during the year. We are consistently looking to improve our school and we work closely with families to ensure the best for our pupils. 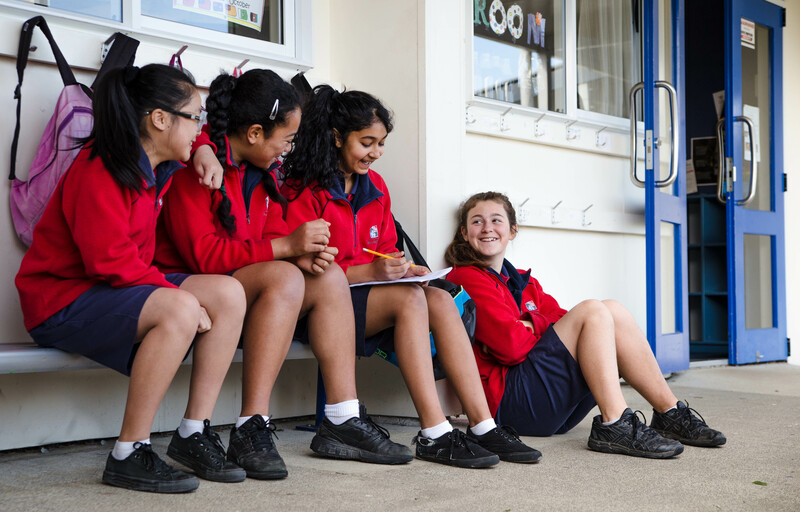 Through this close relationship we have developed a safe and warm environment where children flourish and by hosting International students we believe this helps to build deep respect and greater understanding. We welcome you to download the international enrolment pack and read through. You may contact the school office where a time can be made for you to meet with us and be given a tour of the school. Here you will have an opportunity to view our facilities and discuss our curriculum and English language programmes with our experienced staff. Alternatively you can complete the form below and we will provide the information you request. We look forward to welcoming you to Balmoral School.